Ghoul/Halloween sketch brushes - Free Photoshop Brushes at Brusheezy! This is a 5-brush preview of my full 19- brush set. 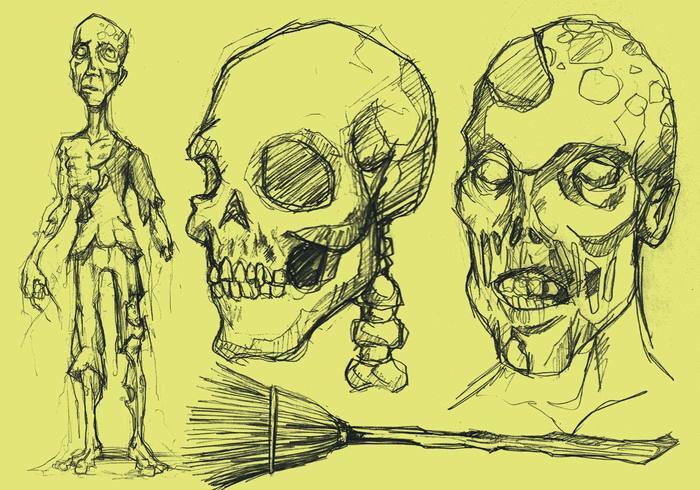 This includes hi-quality, original sketches of ghouls/halloween items. This is perfect for your Halloween or Zombie based designs. Visit my blog for information on the full pack, it is only $5.00! michaelmurdock.blogspot.com Just click on the "Store" button on top! Be sure to check out my Facebook page and become a fan for give-aways. It's under "Sabor Designs" Enjoy! Seriously, your drawings are truly awesome! I used your brushes in a game for Ludum Dare. Love using this set. TY! Thanks guys cause it just around the corner. can i use this for commercial use?? Thanks everyone! If you want to check out more of my stuff, check out my Facebook page and check for my give-aways! it's not a problem, that's why I made these! thx dude i really appreciate these i needed them for a club flyer, if there is any issue with me using these for that let me know. okay? Oh, they look very creepy indeed! Thank you for the freebie, I have to wait and see what my wallet tells me before I can consider buying your whole set - but I'm tempted!